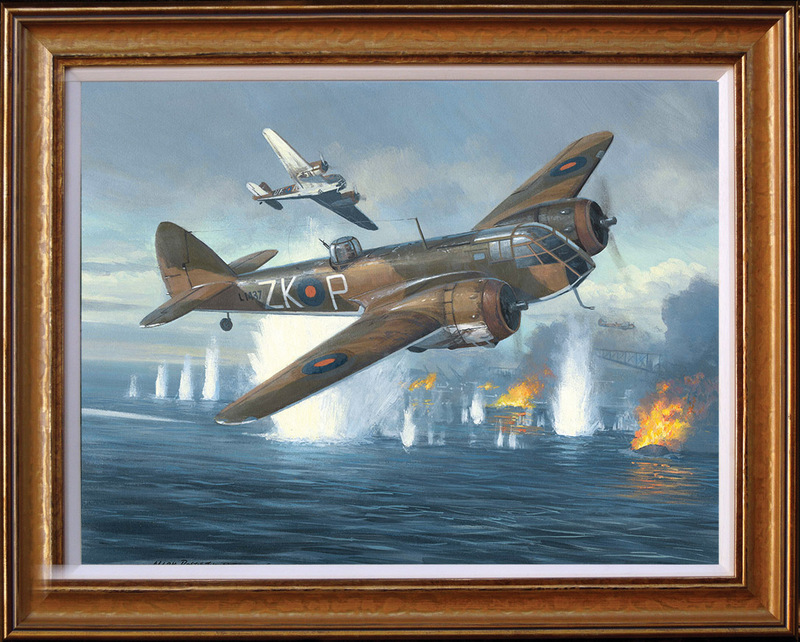 Bristol Blenheim MkIfs of 25 and 601 Squadrons attacking the seaplane base at Borkum on 28 November 1939. This was the first offensive operation by RAF fighters of WWII. All aircraft returned safely. This is the original painting for the cover of the first in a new series of books 'Modeller's Photographic Archive' published by Red Kite. Each book covers one aircraft type over 96 pages with full page A4 landscape photos and profiles etc. Mark plans to produce cover paintings for each of the books so this first one should prove to be very collectable.